Ford will be the first automaker to import cars from India to the U.S.
Ford Motors, already under fire from President-elect Trump for importing cars from Mexico, will soon become the first U.S. automaker to import vehicles from India. The company said the EcoSport compact crossover, introduced for the U.S. market at the Los Angeles auto show Monday, will be shipped here from India starting in 2018. The EcoSport, which is a small SUV, has been built at a Ford's assembly plant in Chennai, India for more than 100 markets around the world since 2013. About a 15% of the plant's production sold in India. Subcompact SUVs are a huge business in the U.S., accounting for the biggest segment of the auto market, according to data from Kelley Blue Book. The EcoSport will be Ford's smallest SUV. GM (GM) started importing the Buick Envision, another compact crossover, from China to the U.S. market in May, and has sold about 8,500 of them so far. Volvo, which is owned by Chinese automaker Geely, started importing the S60 Inscription from China in September 2015. But Ford will be the first automaker to ever import cars from India into the U.S. market, despite the growing auto industry there, and its lower labor costs. U.S. trade data shows Canada exports the most vehicles to the United States, by dollar volume, followed by Japan, Europe and then Mexico. About 80% of cars sold in the United States are made at U.S. auto plants, according to sales tracker Autodata. Ford's plan to shift all of its small car production to Mexico has became a hot-button topic during the recent presidential election. Ford (F) is not laying off any U.S. workers as a result of the move. Instead Ford's U.S. workers will be build larger, more profitable SUVs. Still, Trump has vowed to impose a 35% tax on cars that are built in Mexico for the U.S. market, which he says will force automakers to bring jobs back to U.S. plants. Experts question whether that tax will bring any cars back to U.S. auto plants, speculating that it's more likely that automakers will simply stop building small cars if they can't be built in low wage countries like Mexico. 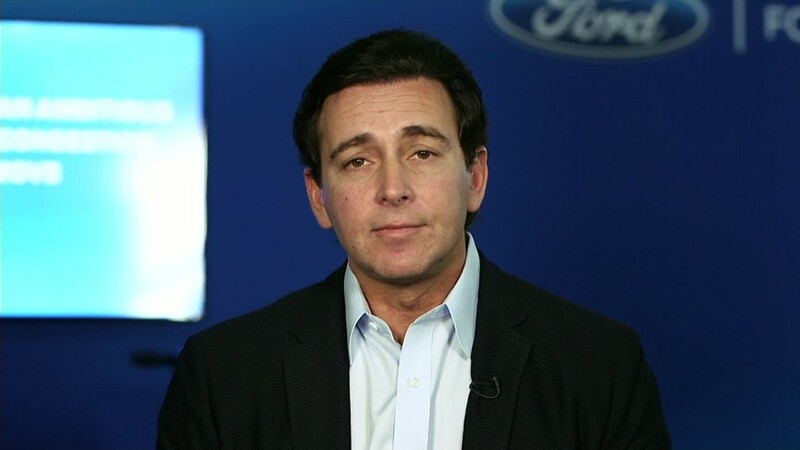 Ford CEO Mark Fields told CNN on Tuesday that said a tariff would hurt the U.S. economy and workers.